This is a vector of Athrun Zala, I finally done a full body version of Athrun, YAY. Anyways, I worked on the outline last night to early morning, then, went to sleep for 6 hours, then woke up like at 10 something am, and finish the rest of Athrun, I did Athrun's hair first then his shoe's insignia on the side, and his faith badge, and then i did the rest of him, all the colors of the ZAFT suit was modified just like i did with Shinn in the ShinnXStellar vector I did sometime ago, so thats all. Hope you like it, Ja! it's really nice, as always. Gonna fav it. Thanks for vectoring this Athrun's image! it's one of my fav! ui love the scan u used but the grey part is not darker? i think if u cahnge it it would look ever more cool! beside the awesome vector u just did! I love it! 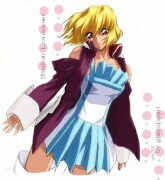 Athrun looks to hot in there. >_< I'm so happy that you made that! This vector is perfect! Congrats! Nice choice of scan and this would make a pretty wallpaper. ::favs:: Awesome. I love the background. And the vector looks great. Great vector! I love it! KILL ME! Garrrr! Very very fabulous!TVT Somebody Kill meee! Nice vector. 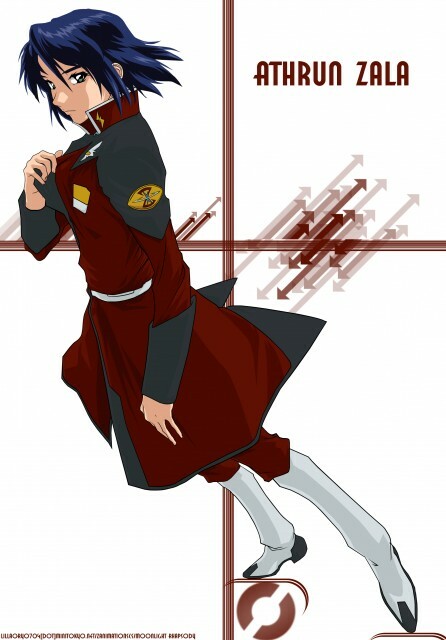 Athrun looks cool.